A midday walk along the river produced a Cormorant roosting on a stone, a Kingfisher calling, unseen and a flock of 20 Siskins. 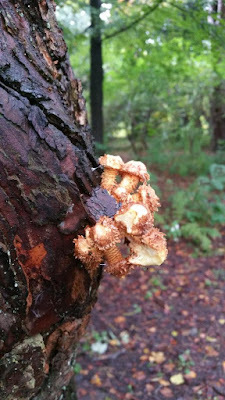 A dead conifer had interesting "growths" protruding from its bark, which were probably the fruiting bodies (nibbled by squirrels) of Honey Fungus. 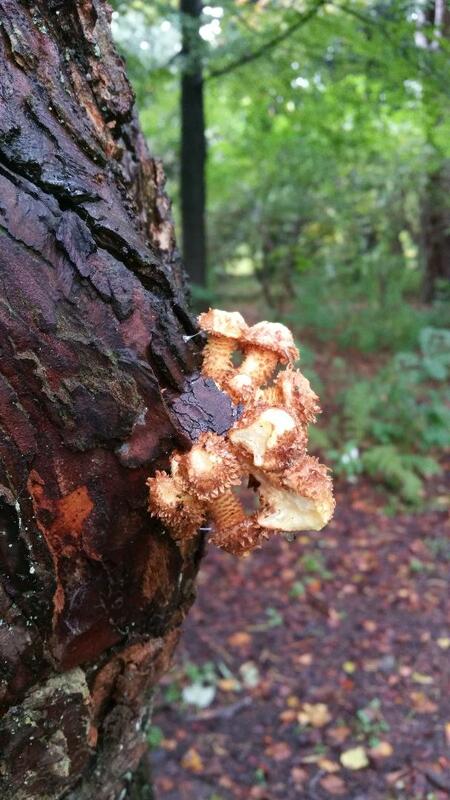 Shaggy Inkcap was emerging in the grounds of Rosshall School.